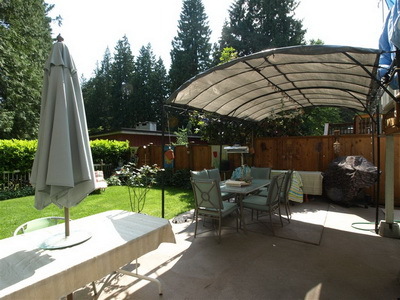 Hoskins Hideaway is situated near Lynn Canyon Park in North Vancouver, BC. This property contains a main house that can sleep 6 people and a self contained bachelor suite that sleeps 2 and has its own private entrance and a 3 piece bathroom. 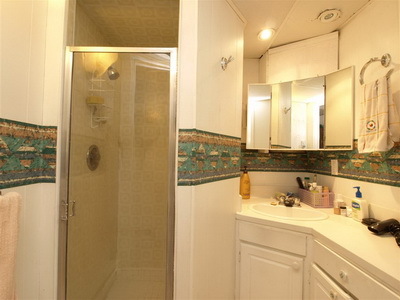 The bachelor suite can be rented on its own or in conjunction with the whole house. 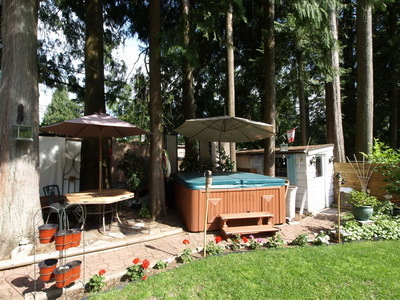 This home also has a lovely hot tub surrounded by cedar trees to relax in after a full day of activities. The Hoskins Hideaway Main House is newly updated with 2 bedrooms, 2 newly renovated bathrooms and a family room contains a large screen TV/DVD and can double as a 3rd sleeping area. 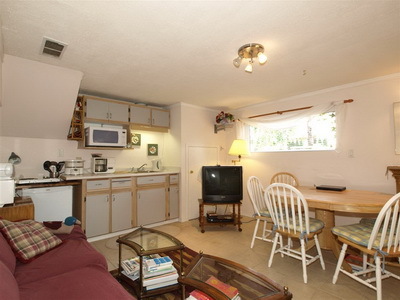 The beautifully upgraded kitchen has all new appliances for your convenience. Hoskins Hideaway has all the comforts of home with the convenience of luxury amenities that will make your stay comfortable. Each of the bedrooms has its own TV and DVD. Even the kitchen has a flat screen TV so you won't miss any of the Olympic events while preparing meals. High speed wireless internet is provided. There is a laundry room on the lower level. 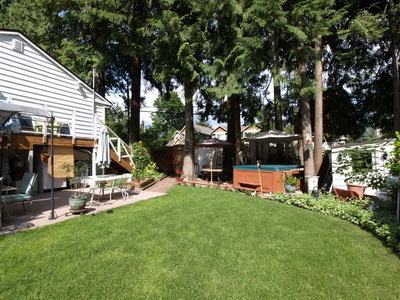 The second bedroom has a balcony and patio access to the ground level for entertaining. 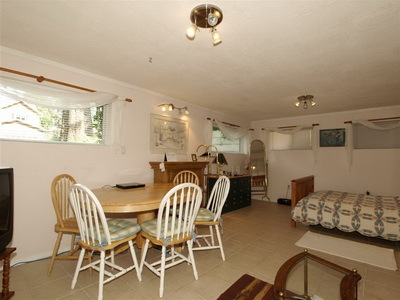 The bachelor suite has a queen-size bed, fireplace, TV/DVD, sofa, dining table, kitchenette with a fridge, microwave, 2 burner cook top, a counter top convention oven, and all the dishes and necessary items for cooking. 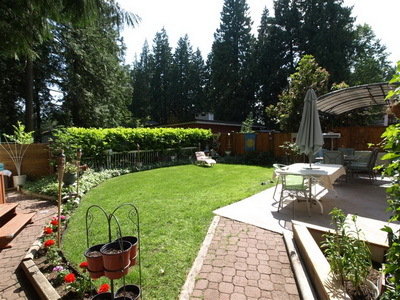 Hoskins Hideaway is 30 minutes to Cypress Creek Bowl and the Cypress Mountain Ski/Snowboard area. Cypress Mountain is the home to all snowboarding events as well as the aerials and moguls competitions for the 2010 Winter Olympics in Vancouver. Because of its North Shore location, there are no bridges to cross to get to either Cypress Mountain or Grouse Mountain. Whistler Mountain is approximately 1 hour and 15 minutes away. 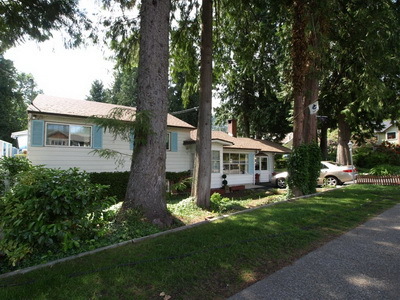 There is easy access to downtown Vancouver by car or bus with the bus stop just steps from the door. The Lynn Valley Village Mall is just minutes away complete with a grocery store, brand new library, recreation centre, hiking and biking trails, golf course, tennis courts, and swimming pool. This exceptional property is ideal for any vacation. It's location will be the perfect home base for experiencing the 2010 Winter Olympics. This property is also available for bookings other times of the year.